Most offices could benefit from having an indoor water feature. They create a calm, soothing, and relaxing atmosphere, which promotes a better work environment for everyone. Good work environments increase productivity. There are many options available to suit the space, cost, and needs of a business. Let’s know more about. An indoor water feature is a beautiful addition to any office or even house. If the water feature is on a wall, some companies can even have their logo behind the waterfall for marketing purposes or to encourage loyalty with employees and customers. If you have had the opportunity of being near a waterfall, ocean, babbling brook, or river, then you know the relaxing sound that comes from moving water. Installing an indoor water feature in your place of business will consciously and subconsciously affect everyone who can hear the trickling sound of the moving water. Most fountains have the ability to control the flow amount, which helps to determine how far you want the sound to travel. Another benefit of the trickling sound of water is drowning out any nuances that may be coming from another area in the office or even from the traffic and noise outside. 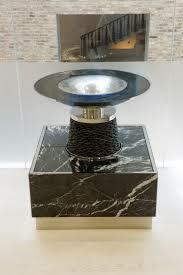 Go to any company that sells indoor water features and every design will have a very beautiful and elegant display. They can be designed with layers, levels, smooth rock features, and even lights all of which make them appealing to the eye. Maybe you have a creative idea in mind. You could find companies that will create a water feature how you want it. It all depends on the designers. Choosing a calm design is important though because you want to create the best environment for your particular needs. Having a large indoor water feature in your office would make an excellent gathering place for you and your employees, as well as any visitors. Placing the water feature in a reception area or rest area would be beneficial. Some designers include seating to encourage the gathering. The moving water is attractive and gives employees breaks from their daily tasks, which may be stressful. Having one in a reception area may relieve anxiety when people are waiting to be seen. The moving water gives people a break from the daily hussle. Studies have shown that being outside is healthy, so why not bring healthy into your office? Along with certain live plants, moving water, specifically from an indoor water features for your business, creates cleaner air. This is done by negative ions being released into the air as water is evaporating from the fountain. The negative ions clean the air being breathed and clean air helps with clarity and brain fog. Water evaporation also creates humidity in the air, which makes it easier to breathe for most people. The dryer your climate, the better it is to have an indoor water feature in your office. If you have a humidifier in your office, water features will eliminate the need for one.